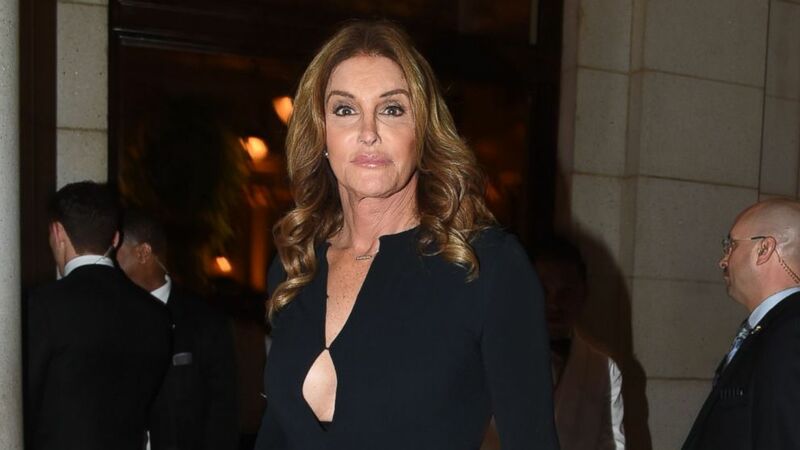 Caitlyn Jenner and Scot Baio are among those in the nation's capital. Today Donald Trump was sworn in as 45th president of the United States. Among those attending, in addition to Trump's family, were outgoing President Obama and his wife Michelle; former presidents George W. Bush, Bill Clinton and Jimmy Carter; and former Democratic presidential nominee Hillary Clinton whom Trump beat in the 2016 election. While many celebrities like Alec Baldwin, Robert de Niro, Scarlett Johansson did not attend, some did travel to Washington D.C., to see the peaceful transition of power. Of course, 16-year-old Jackie Evancho was there to sing the national anthem after Trump was sworn in and addressed the crowd. Other notables at the events included actor Scott Baio, who shared a picture from the inauguration. "We are ready. Proud to be an American! #Trump #Inauguration," he wrote in a picture with his wife. Fox News interviewed "Duck Dynasty" star Willie Robertson at the event, who said, "I was happy to be a part of this early, but there's a lot of people on board now, that's for sure." Robertson's wife Korie attended events last night with her husband and took a photo with country star Tanya Tucker. Also in the nation's capital was Oscar-winner Jon Voight, who spoke last night at Trump's inaugural concert, and Caitlyn Jenner, who stepped out for n inauguration dinner in honor of Trump. (Clint Spaulding/WWD/REX/Shutterstock) Caitlyn Jenner is pictured arriving for a candlelight dinner in Washington, D.C., Jan. 19, 2017. Comedian Chonda Pierce is to headline another inauguration event and posted photos of herself meeting fans in D.C.
After the events of today and tonight are finished, the Women’s March on Washington and other events not connected to the inauguration will take place Saturday in Washington, D.C., and across the country. Janelle Monáe, Maxwell and others will be among those entertaining the crowds, while the likes of Cher, America Ferrera, Patricia Arquette, Julianne Moore and Amy Schumer participate in the march whose stated mission is "to send a message to all levels of government and the incoming administration: that we stand together in solidarity and expect elected leaders to act to protect the rights of women, their families and their communities." In addition to the main march in Washington, D.C., more than 150 other sister marches are expected nationwide on Saturday, many of them led by other celebrities.